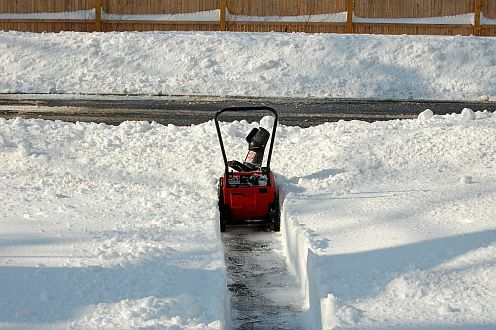 Loving Long Island Newsletter #16 - We Dodged the Snow! If a friend did forward this to you and if you like what you read, please subscribe by visiting the Loving Long Island Newsletter subscription page. Well, we made it through February without snow. Most of us are quite happy about that, but there are a few (like me) that missed getting that one big snowfall. Winter is not over yet, so it can still happen, but it really doesn't look like it will. We're probably in the clear and can start making our summer plans. Long Island really comes to life during the summer and beginning on Memorial Day Weekend there are so many things to see and do that it can be hard to fit them all in without making definite plans for each and every weekend. Come April I think I'm going to mark up my calendar with a master plan for the summer. What I'm looking forward to this summer is a little more time on Fire Island. In particular there are a few restaurants in Ocean Beach that I haven't tried yet, and there's a new (to me ) place in Kismet that I'd like to try. And for a day at the beach nothing beats Sailor's Haven. I hope to get there at least a few times before summer is over. Have you been thinking about summer? Dreaming about warm weather, sunny skies, and good times? What's your idea of a good time on Long Island? Share your thoughts on our Facebook Page. A hearty thank you to all my new Facebook fans! I really appreciate your support and participation. For those of you that haven't clicked the Like button yet, but want to why not do it now? Thanks again! Hamptons Restaurant Week - For one week only, Sunday March 18 through Sunday March 25, some of the East End's best restaurants are offering a three course prix fixe for $24.95. I do this every year and am looking forward to it again this year. It's a great chance to try a restaurant or 2 without breaking your budget. Even though it's called Hampton's Restaurant Week many of the restaurants are on the North Fork. 50+ Brewers & 100+ Beers! This short video will give you an idea of what the beer festival is all about. Long Island Winterfest is in full swing with only 3 weeks left. Get there while you can before it's too late! JAZZ ON THE VINE returns as the theme of the 2012 Long Island Winterfest for the fifth consecutive year. From February 11 to March 18, 2011, the East End of Long Island will offer 6 great weekends of truly exceptional jazz performances in winery tasting rooms for only $15 per person. The Long Island Chowder Contest took place as it has every year for the past 13 years at the Snapper Inn in Oakdale. I was there and it was fun for all. I had a great dinner on my birthday at Legends Restaurant in New Suffolk. It's a great restaurant. Check it out. Andrew tells a story about his encounter with Jackson, a deceased school janitor. Alex, a night watchman is sure that ghosts are following him as he makes his rounds at Splish Splash.